Seemingly everyone is talking about North London’s Wolf Alice. The hotly tipped indie quartet of Ellie Rowsell, Joel Amey, Theo Ellis and Joff burst onto the scene in 2012 with “Leaving You” – a download only track that made its way onto Radio 1, which then proceeded to reach the top of NME’s Radar section and Hype Machine chart. Following a successful tour with Peace the band released their debut single “Fluffy / White Leather” (read our review) in February 2013. “Fluffy” was raucous affair that sat between Elastica and The Joy Formiddable while “White Leather” was melodic and subdued emitting hints of The Pretenders , Suzanne Vega, and Stevie Nicks. As one of the first songs the band’s vocalist Ellie Rowsell ever wrote, quickly becoming a championed live favourite, new single “Bros” has the beauty of “White Leather” as well as a generous amount of the grit shown in “Fluffy”, sharing most in common with The Joy Formiddable. However, “Bros” also has an emotional pull that previous singles haven’t. 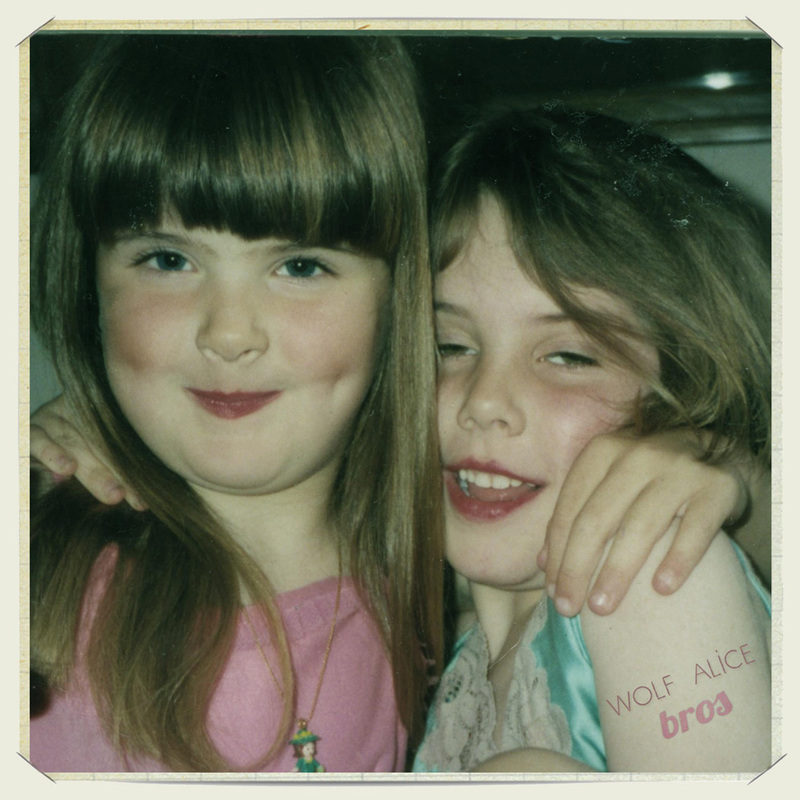 In all their songs to date Wolf Alice have managed to give their own brand of indie-rock-pop an interesting edge. The quartet deliver all the hooks and melody one could ever need but in a creative way; rather then opt for a massive vocal chorus, a sweet and nostalgia-inducing guitar melody provides the song with its major hook – and a melancholic one at that. Another brilliant step forward for this exciting new band. “Bros” will be released on 20 May, 2013 through Chess Club Records. Pre-order “Bros” via Rough Trade now.